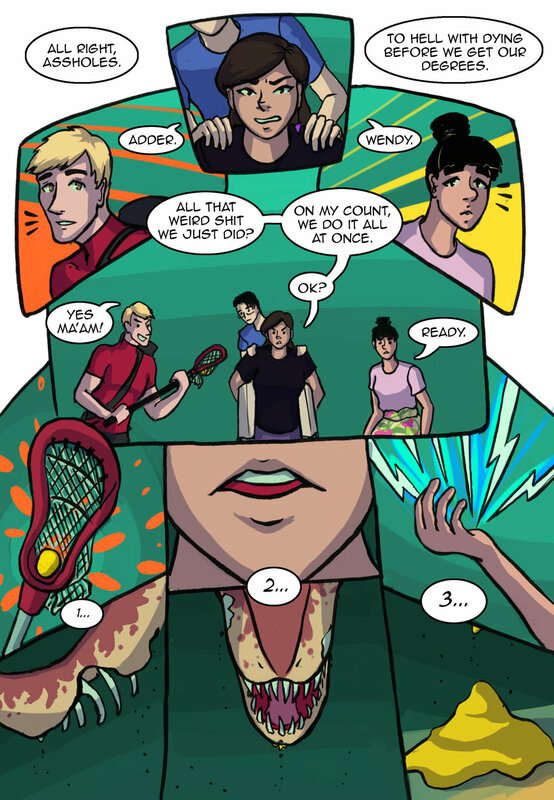 Godlings is an upcoming webcomic about four twentysomething demigod college friends adjusting to adult life on top of making sense their strange powers. Which would be difficult enough as is, but a recurring influx of dinosaurs is hellbent on complicating the process. 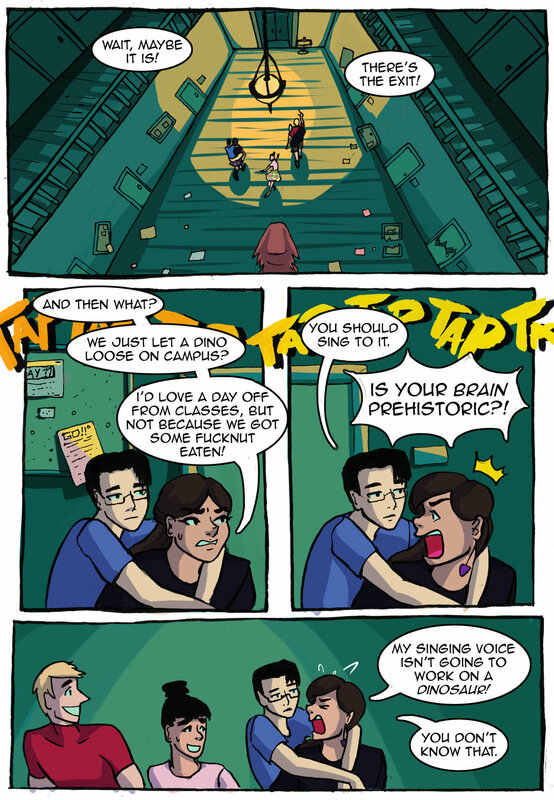 Godlings is currently in development to become a webcomic while other projects take priority. Until they're cleared up, enjoy this 10-page preview!